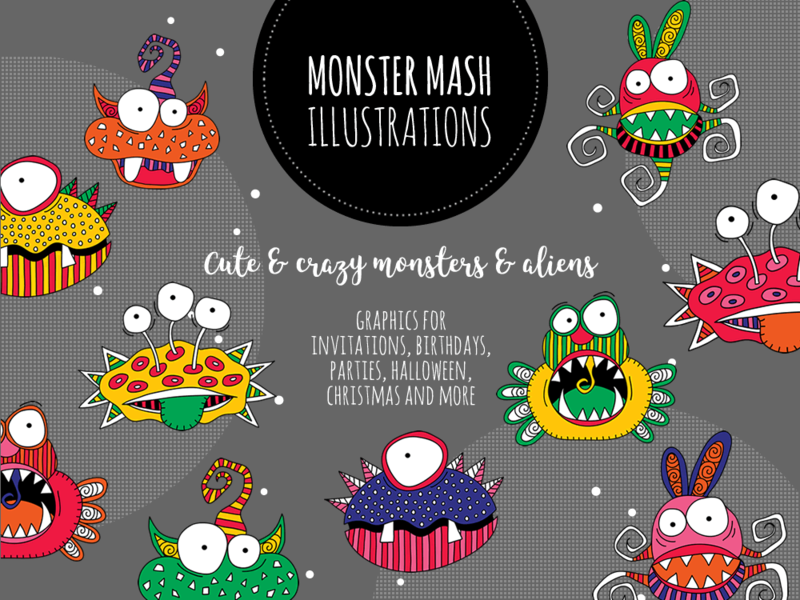 ❤ Mix and match collection of five original hand drawn monsters and aliens in two colour versions, suitable for birthdays, parties, preschool resources and more. 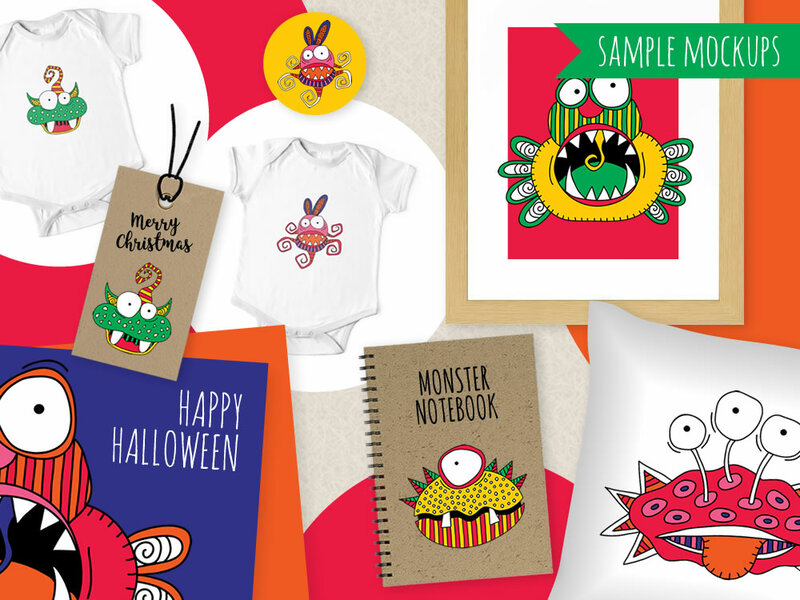 Great to use on invitations, announcements, tags, stickers, gift bags, badges, notebooks, cushions, worksheets, thank you notes … Create your own custom images for social media, email or to print. 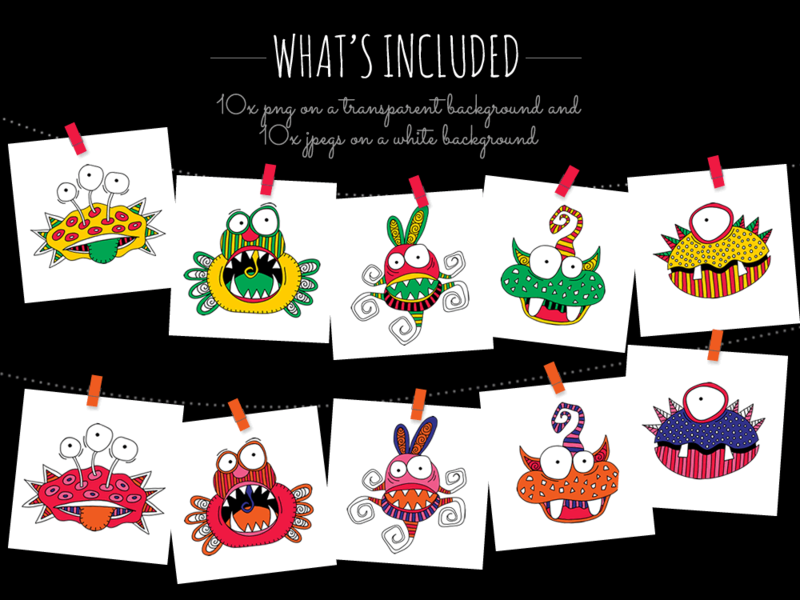 The collection contains ten high quality full colour PNG files with transparent backgrounds and ten high quality full colour JPG files on a white background – 4252px x 4252px. 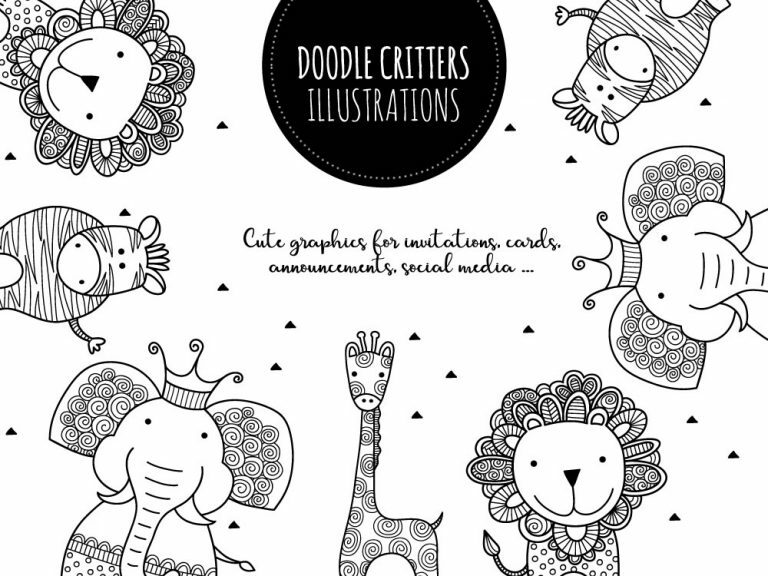 The graphics are high resolution and perfect for both digital and print use and can be used within most software or apps (Photoshop, Word, Indesign, Canva, Social Media etc). These are downloadable files so you will not receive anything in the post and no physical product will be shipped. 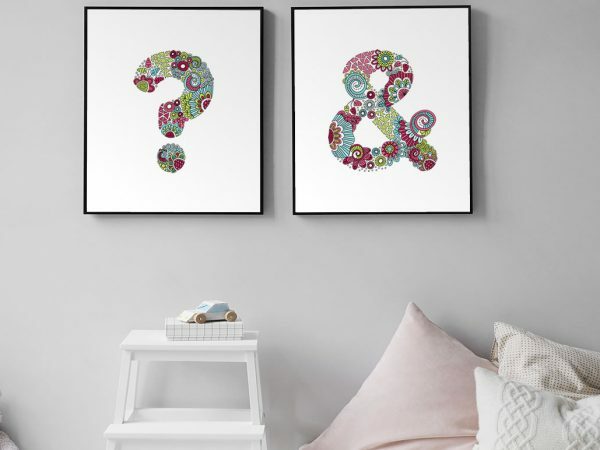 After you have made the purchase you will receive an email with the link to download a zip file, click the link and save the file to your own computer or device.